Every Thursday, I share with you one of the beautiful quilts that my grandmother has made for me over the years. Quilting was just one of those aspects of Kentucky culture that I grew up around. If my granny is sitting down, she has a quilt block to work on. I've written here on HerKentucky about making this quilt with my granny. She and I are both pretty headstrong and it was quite the experience! I love this quilt pattern because it's so simple and old-fashioned. 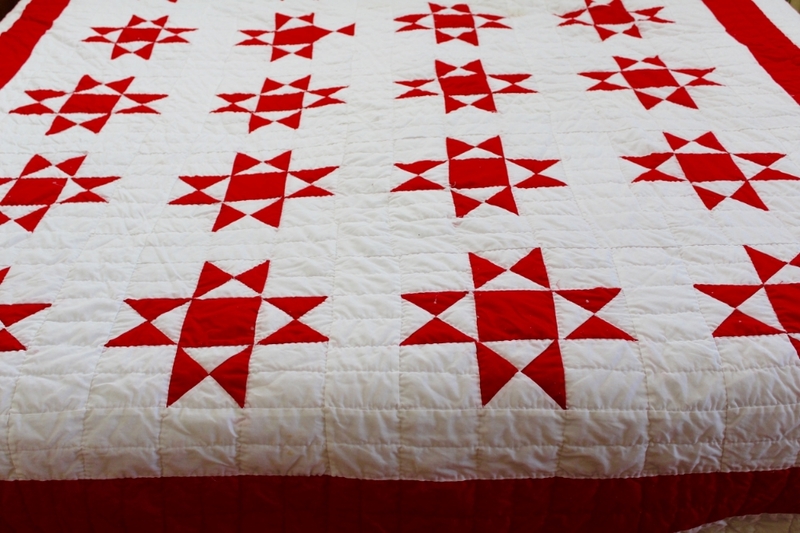 The Ohio Star pattern emerged in the early 19th century, then enjoyed a surge in popularity in the 1930s. Variants included the Texas Star and the Tippecanoe and Tyler Too patterns. You can read more about it here and here.